Looking for mood lighting for your home or a unique gift? This tealight holder is perfect to you. The Canal House tealight holder is made of stainless steel and is 5x12cm in size. 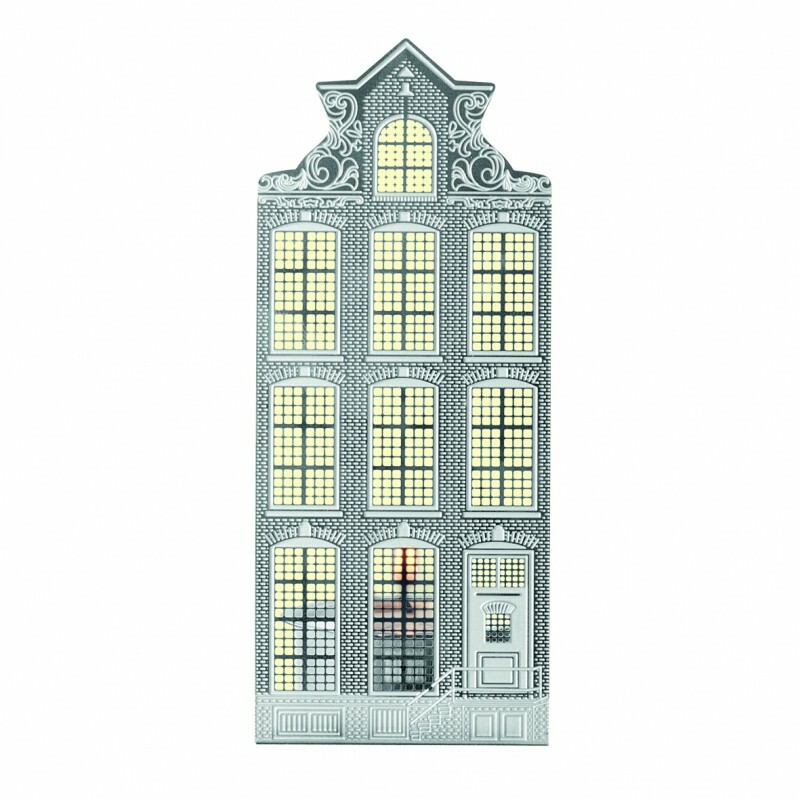 The mood lighting has the shape of a beautiful Dutch canal house with a neck gable, one of the characteristic facades that Amsterdam has to offer. The Netherlands has a rich history, in which the Golden Age played an important role. The Netherlands was the epicenter of world trade and its cities grew enormously. The canals in the major cities were essential for Dutch exports. Beautiful warehouses were built along the canals. 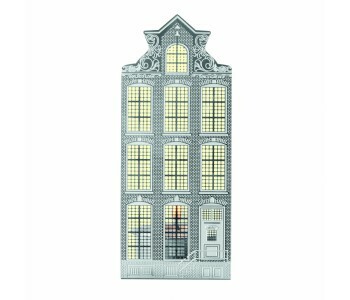 The houses often had special facades, still visible and characteristic of Dutch cities and culture today. 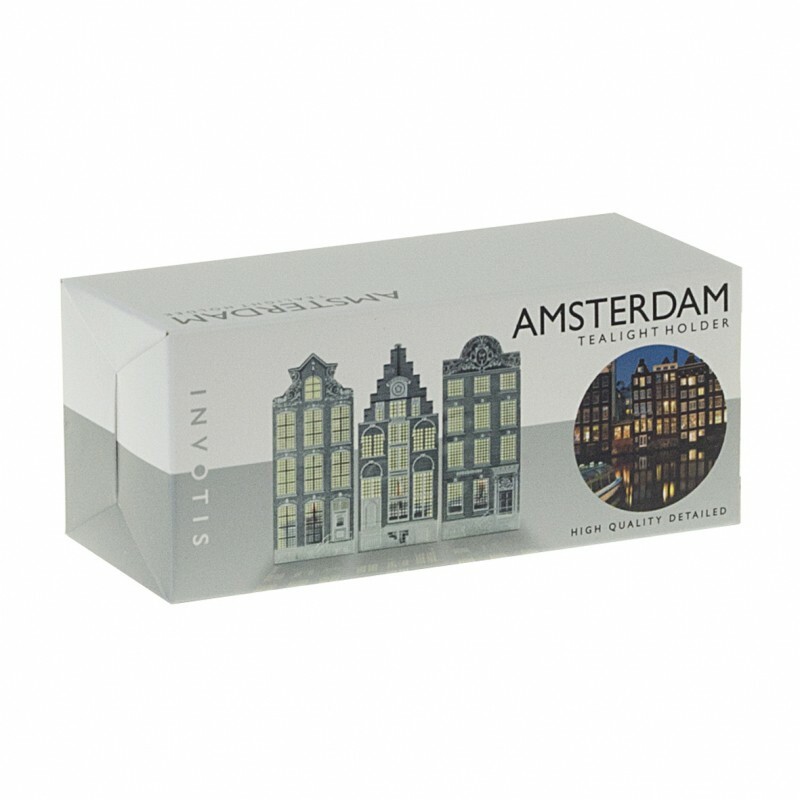 This tealight holder by Invotis brings Dutch culture a little closer. This Canal House tealight holder is made of stainless steel. The stainless steel gives the atmospheric lighting a modern touch. The classic canals and the modern material are combined, with this stylish candle holder as a result. Set the mood in your home with these tealight holders by Invotis.